Must be nice to feel vindicated. The Red Bull team has had a tough time of it in Montreal. Not only has the Montreal track, with no fast corner worthy of the name, never really been happy country for the Bulls, it has this weekend been faced with open season on the details of the RB8. First off, the FIA had asked Red Bull to remove the holes in the car's floor in front of the rear wheels, and today it transpired that it'd been asked to make modifications to the wheel hub due to getting aerodynamic advantage from holes there as well. 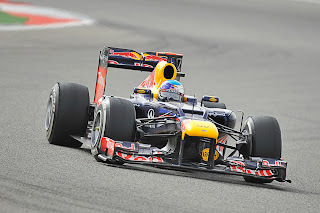 Some were even muttering about the validity of the team's results since Bahrain. Well, holes or no holes, the team is still right there and Sebastian Vettel underlined this fact by taking an unexpectedly comfortable pole position for tomorrow's Canadian Grand Prix. As expected, lap times were tight in qualifying. McLaren, Red Bull and Ferrari were at the sharp end, and with this the likes of Mercedes, Lotus, even Force India, Sauber and Williams, were within their ballpark. All of this added up to the top 16 cars' best times being within a second of each other in the second qualifying session. Even within this though Vettel, Lewis Hamilton and Fernando Alonso seemed the most likely pole candidates. But as we've seen so often in the past Seb is one blessed with an intangible ability to pull out extra crucial tenths of a second on a single flying lap and never to compromise his own chances. And this, it seemed, was enough to tilt things in his favour - he topped the first two sessions and in the end he took the quickest time in Q3 by the surprisingly large margin of three tenths of second over Lewis in second and Nando in third. To add some historical context, this is Seb's 32nd pole position in F1 which is only one behind the total of the great, and pole master, Jim Clark. Seb is one who divides option, but it is surely not hyperbole to say that over a lap Vettel, even at this early stage in his career, is one of the best ever. This all leaves things nicely poised for tomorrow's race. It's almost impossible to imagine that proceedings will be a sedate follow-my-leader affair; things always happen at Montreal (count on a few safety car periods at least). Therefore, the outcome is anyone's guess. Nevertheless, and as we have seen many times, once Seb is in the lead of a motor race he's not the easiest to dislodge and he'll be doing his darnedest to control things from the front, even at Canada where overtaking and other variables are more likely than at most tracks. Lewis on the other hand will be more determined than most that this should not be the case. He was left frustrated today by a rise in track temperature which he said deprived his McLaren of some grip. Both he and McLaren have a good record at this circuit, though he'll be hoping that the recent trend of the McLaren looking to be less potent on race day than in qualifying won't manifest itself tomorrow. And the weather forecast isn't suggesting things will be cooler in the race. Then there is Alonso, who could be one to watch. 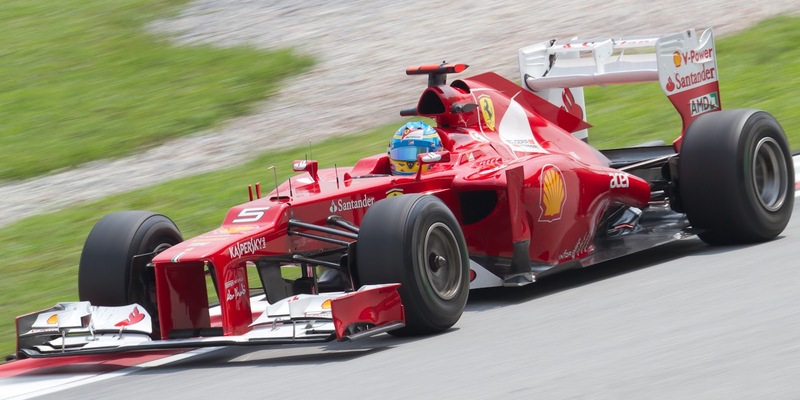 The Ferrari looks absolutely on it and a world away from the evil handling machine on show in Melbourne, and unlike the McLaren drivers Alonso has a knack currently of moving forward from his starting position on a Sunday. Indeed, watch him off the line as Nando has gained a net 14 places on the first lap of races alone this season. Strategies will also be fascinating tomorrow. 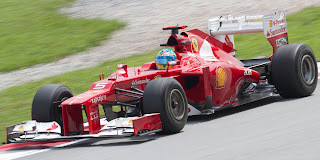 Many (including Lewis Hamilton and Ferrari) are speculating about the possibility of completing a one-stop race, but with the short pitlane and the relative ease of overtaking at Montreal many may be tempted to stop more times. Plus the likely frequency of safety cars may mean strategy becomes a case of playing it by ear. With the multitude of variables we associate with Montreal, and the closeness on pace of the cars, the race could well fall into almost anyone's lap.